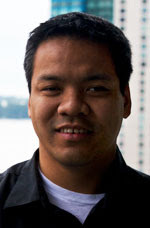 If you missed it from Twitter a month-and-a-half ago, Steve Grobschmidt (@AquinasWI) published an interview with accessibility expert Jennison Asuncion (@Jennison) in a 3-part series. It’s published on Steve’s blog “the art of web accessibility”. I recommend reading the interview as well as checking out Steve’s blog. Both Steve and Jennison are excellent contributors to the web accessibility community. You can also find Jennison on LinkedIn. Here’s a list of Twitter Lists targeting web accessibility. 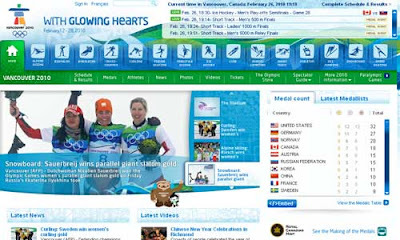 Ten days later, Joe Clark published an excellent article Vancouver Olympics Web sites are inaccessible to disabled people. He first points out that John Furlong (CEO of VANOC) broke a promise to make the web site accessible. (Even after a a blind man in Australia won a human-rights case against the Sydney Olympic organizing committee and IBM for an inaccessible web site.) Joe provides a report on the inaccessible content and also publishes responses from the VANOC and his replies. It doesn’t take an expert to find areas where the Winter Olympics site needs improvement. Even for alternative text, one of the most basic and important guidelines for web accessibility, the site is lacking. This includes inadequate alternative text for Flash content and the fact that many images do not have alternate text. In addition, the following points are for navigation only! My suggestion for those who need more accessibility? Try Yahoo’s Vancouver Winter Olympics coverage.